Peter Jackson and J.R.R. Tolkien's final Hobbit movie, The Battle of the Five Armies easily defended it's top spot at the box office this Christmas weekend ($41.4 million), while Unbroken ($31.7 million) and Into the Woods ($31 million) battled for second place. 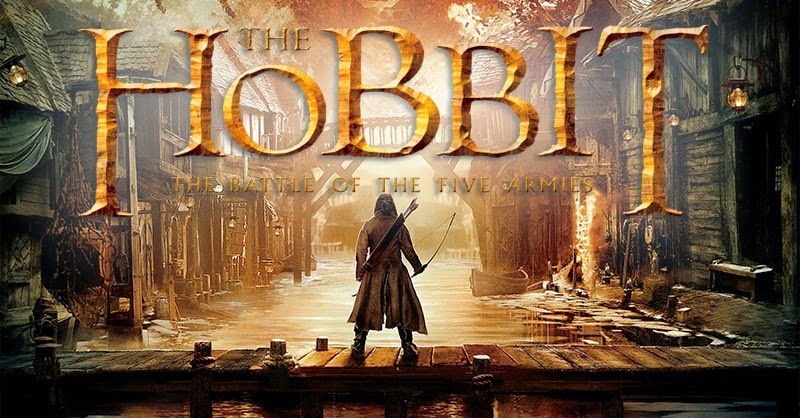 The Battle of the Five Armies has so far made $168.5 million domestically and a grand total of $573.6 million worldwide. If you're wondering about The Interview, it made $1.8 million from just over 300 theaters which is pretty good considering most of those theaters are art house theaters and have very limited seating. Still, it's no where near the $30 million or so analysts were predicting before it was pulled. A few new movies hit theaters in wide release this Christmas weekend… Also, The Interview gets put back into theaters, but limited. Hit Factor: Looks like a formulaic story of hope that's ripe for the Holidays. Flop Factor: Seeking awards contention but just might outside of that group. Hit Factor: After watching The Battle of Five Armies, families may want to watch this film. Going for the Alice in Wonderland crowd. Flop Factor: Looks somewhat expensive. 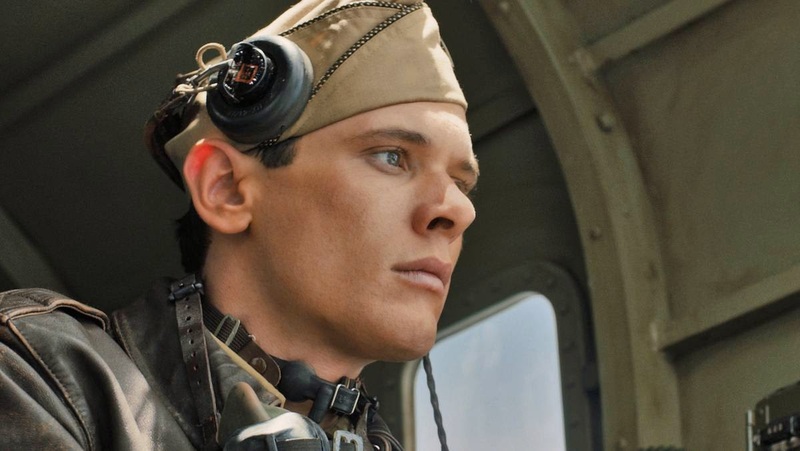 Hit Factor: For the adults that don't want to see Unbroken. Flop Factor: Seems like a movie that should have come out in September or October. In a rather unsurprising move, the final film from Peter Jackson's The Hobbit franchise easily debuted in the top spot this weekend with about $56.2 million and $90.6 million total since opening Wednesday. The Battle of the Five Armies already has a worldwide total of $355.6 million since it opened internationally a week ago. Night at the Museum: Secret of the Tomb ($17.3 million) and Annie ($16.3 million) round out the top three. 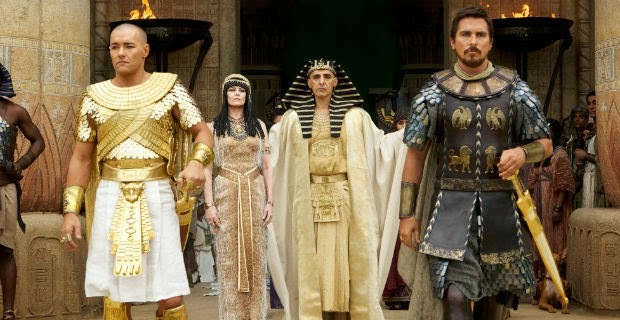 Exodus: Gods and Kings, slips more than 66% to $8.1 million this weekend ($38.9 million total) which doesn't fare well for the reported $140 million epic. 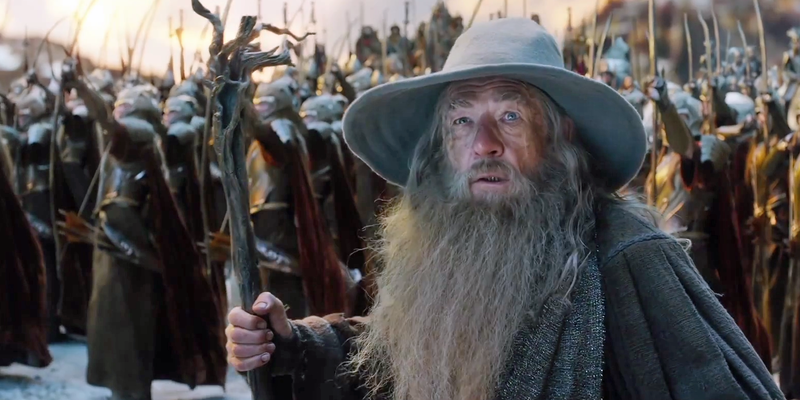 The final Hobbit film battles a bunch of other pre Holiday movies. Hit Factor: The end to the very successful Hobbit franchise. Flop Factor: Still not as good as the Lord of the Rings franchise. Hit Factor: Franchise strong enough to warrant a third film. Flop Factor: Does it really warrant a third film? It was an easy box office win for Exodus: Gods and Kings, mainly because The Hunger Games: Mockingjay Part 1 has already reached it's fourth weekend. Exodus still has a long way to go to recoup it's reported $140 million budget... and though the upcoming Holiday weeks may help, it also brings along a slew of other big budget films that tear into its audience. Hit Factor: A big budget Gladiator meets The Ten Commandments. Flop Factor: Director Ridley Scott's last few movie release track record has been spotty at best… also getting mediocre reviews (43% Tomatometer). Hit Factor: Low budget… 93% Tomatometer. Flop Factor: Trailer has the I'll wait for Netflix vibe. With no new movies hitting theaters in wide release this weekend, The Hunger Games: Mockingjay Part 1 ($21.6 million) easily took the top spot for the third weekend in a row. It has already made $257.7 million domestically and will surpass Captain America: The Winter Soldier ($259.7 million) in the next day (or so) to become the second highest grossing film (domestically) of 2014. *Mockingjay Part 1 and Part 2 reported budget is $250 million together. No new movies hit theaters in wide release this weekend. 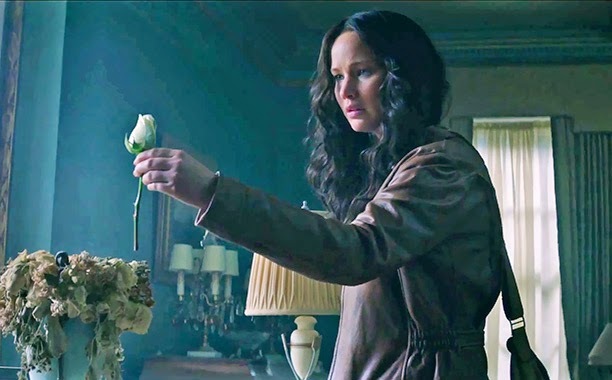 So, expect The Hunger Games: Mockingjay Part 1 to stay on top the box office for the third straight weekend. 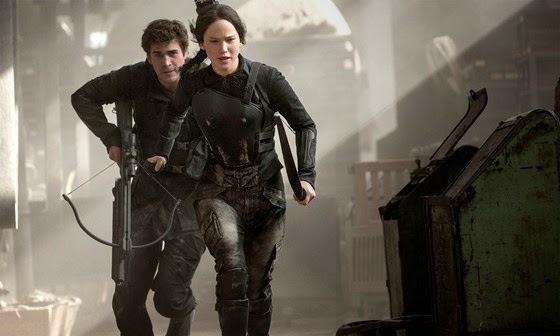 The Hunger Games: Mockingjay Part 1 ($56.9 million) easily fended off newcomers Penguins of Madagascar ($25.8 million) and Horrible Bosses 2 ($15.7 million) to take the top spot on Thanksgiving weekend. 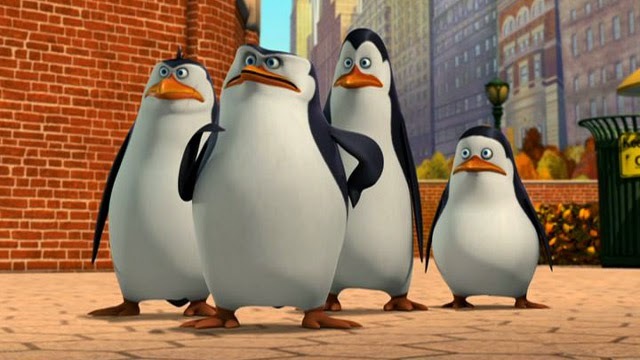 Considering the lowest opening for a Madagascar franchise is $47.2 million (for the first film) and the first Horrible Bosses opened to $28.3 million, Penguins of Madagascar and Horrible Bosses 2 have performed much less than expected. Hit Factor: They're funny in the Madagascar series. Flop Factor: But an entire movie about them? 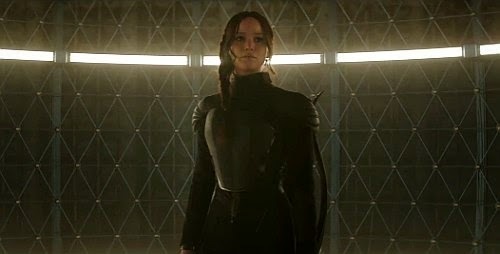 Mockingjay Part 1 easily topped the box office this weekend with $123 million, making it the top debut of the year (beating out Transformers: Age of Extinction's $100 million). However, it's a bit down from the first Hunger Games' $158.1 million and Catching Fire's $152.5 million. Worldwide, Mockingjay Part 1 has already grossed $275 million. Only one (but giant) movie hits theaters this weekend before Thanksgiving. Hit Factor: Umm… Have you been under a rock that past few years? Flop Factor: Lowest reviewed of the franchise so far (now a 69% Tomatometer). Probably closer to 0%, but I didn't make a 0% graphic. 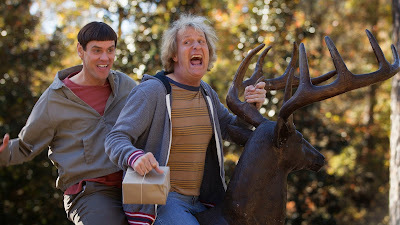 It was a Dumb weekend as the Jim Carrey and Jeff Daniels flick Dumb and Dumber To ($38.1 million) edged passed Big Hero 6 ($36 million) for the top spot at the box office. This is a much needed hit for Jim Carrey and is his biggest live action debut since 2003's Bruce Almighty ($68 million). Will the Dumb take over Big Hero 6 and Interstellar? Hit Factor: I love the original. Flop Factor: Seems like this should have been made 10 years ago. This type of comedy may not work with today's audience. Jim Carrey seemed opposed to making a sequel… I wonder what changed? Hit Factor: Positive so-early-that-it-probably-shouldn't-count-yet reviews (91% Tomatometer). Flop Factor: I've never heard of this film until writing this post. 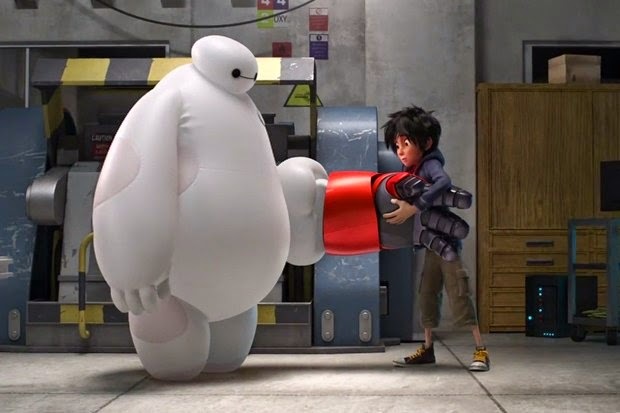 Disney animation is on a role as Big Hero 6 took the top spot this weekend with $56.2 million. This bested the Christopher Nolan's space opera Interstellar ($50 million). Both films oddly cost around $165 million to make, so expect some comparisons and duels. Get ready for a box office boost as two new big budget films hit theaters this weekend. Flop Factor: May be too out there for the general public. Hit Factor: From the creators of Frozen and Wreck-It Ralph. That Marvel Logo. I don't really do movie reviews, but since I got a sneak peak of this film, why not? 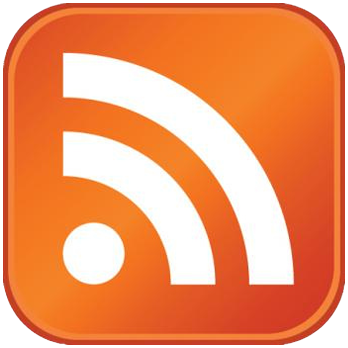 Yes, there are probably spoilers in this review. 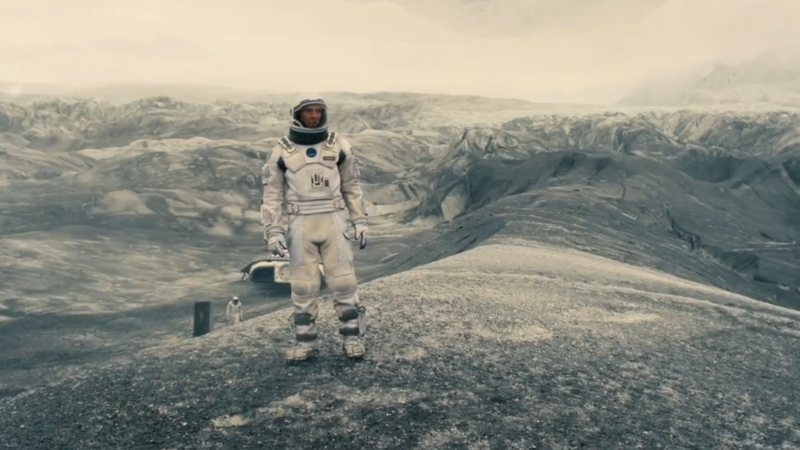 Interstellar is one of those movies where people will absolutely love this film and others will absolutely hate it. If you are expecting Gravity-like action and mindless popcorn fun, you'll be disappointed (I enjoyed Gravity, btw). 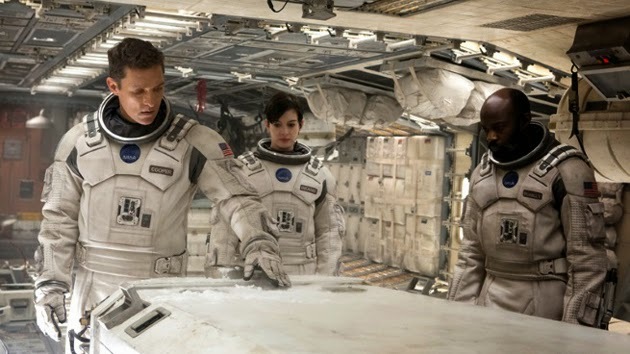 Running at almost 3 hours long, Interstellar is much more a drama with some action sequences. It's cast is perfect. Matthew McConaughey has been making great and bold choices as of late. And you also probably want to bring a tissue or two, as there a quite a bit of tear-jerky moments. My biggest complaint was that when it ended, I didn't feel the sense of "hell yeah!" satisfaction. There was something that I felt was off about the movie, but I couldn't figure what it was. There was applause, but it was a spattering of applause in that packed house. Maybe the story or the character choices were a bit weird. Maybe the A-list cameo in the late 2nd act, while awesome in the beginning, turned into a scene that reminded me too much of the cameo Tim Robbins did in War of the Worlds, the point at which I thought that film turned from awesome to sour. The music, which is great and very non-Hans Zimmer like, jumps out at you more than the characters who are speaking. In fact there were some scenes where I couldn't understand what was being said (I think Christopher Nolan likes doing this ala Bane in The Dark Knight Rises). I thought I was zoning out or something, but eventually you understand what's been said as the story unfolds into the next sequences… and you're like "oh." The 3rd Act brings upon a deeply 'meta' moment which works, but also feels a bit off at the same time. However, I'm still on the fence about that thought because maybe… just maybe… I have to watch this film again to fully digest it. Now with these cons, you'd think I didn't like this film. However, there is a great deal to like about Interstellar. As noted above, the cast is great everyone from Matthew McConaughey to Jessica Chastain to the girl who plays the younger version of her (Mackenzie Foy). Nolan is also known for his grand scale, and it doesn't fall short here. The VFX and cinematography is amazing, I'd be surprised if this doesn't win or at least get a nod when award season comes around. Interstellar has to be seen on the big screen just for the fact that there are shots where the space ship is a but a speck on screen passing a massive planet which that would look terribly bad on blu-ray. So if you're going to see this film anyway, I'd see it in the theater. IMAX preferably, and get a good seat. Now on the IMAX note, I thought this entire film was shot on IMAX, it's not, but a good chunk of it is, though. My quick comparisons to this film are 2001: A Space Odyssey, Sunshine, a little bit of Terence Malick, and a dash of Gravity. It's a movie that I don't think the general public will necessary like. But I hope they do because Hollywood needs to make more movies like this rather than milking franchises that have long passed it's prime. 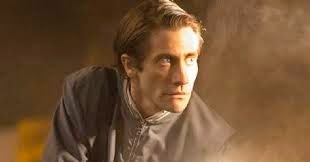 Thanks to Halloween weekend the critically panned Horror flick, Ouija, (Yes, 8% Tomatometer) managed to tie with the critically acclaimed pic Nightcrawler (94% Tomatometer) for first place with both making about $10.9 million. Overall, it wasn't enough to scare up a huge box office as this may be one of the lowest weekends of the year. The 10th anniversary rerelease of Saw didn't help either… as it only took in $650 thousand out of about 2,000 theaters… which is pretty dismal… even for a rerelease. Luckily for Saw, it was already a hit 10 years ago. Only one new movie opens this weekend along with the 10 year anniversary release of Saw. Hit Factor: Looks interesting… could be a sleeper awards contender. Flop Factor: You mean to tell me this has nothing to do with the X-Men? Ouija spooked the competition this weekend at the box office with $20 million. 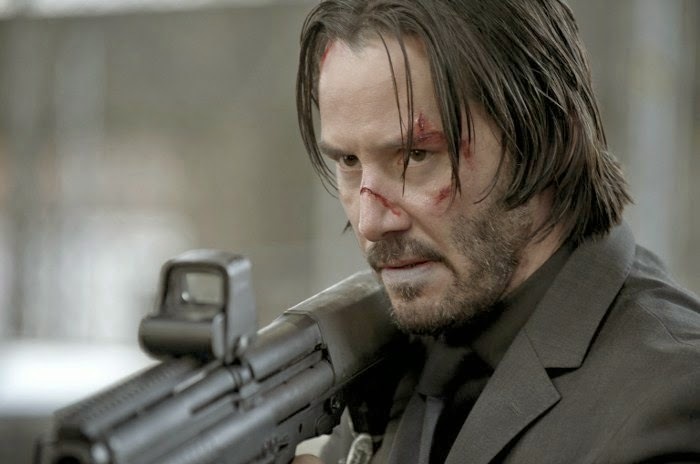 Meanwhile, the Keanu Reeves action-revenge flick, John Wick, managed to do some moderate damage ($14.2 million) with little marketing and positive reviews. Hit Factor: Surprisingly getting good reviews (90% tomotometer). I actually want to see this film. Flop Factor: Probably too cool for it's own good. Hit Factor: A scary movie in time for Halloween. Flop Factor: With a 9% tomatometer, it's one of the worst reviewed films of the year. The Fast and… Wait... It's just Fury? Okay Brad Pitt's Fury easily topped the box office this weekend with about $23.5 million while Gone Girl slipped to number 2 ($17.8 million). The Book of Life had a decent sized debut at $17 million for third place. Though, the same can't be said for the latest Nicholas Sparks' inkling, The Best of Me ($10.2 million) debuted fifth. 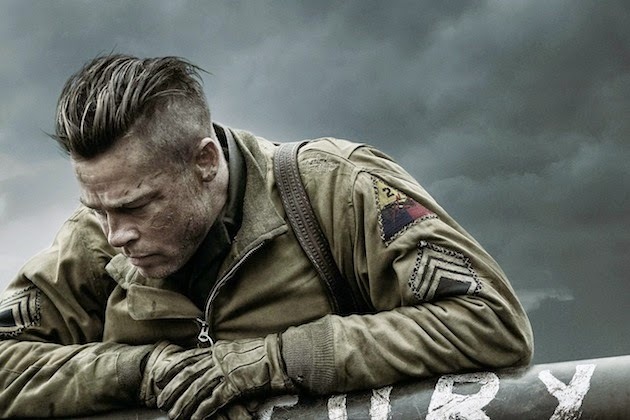 Hit Factor: Brad Pitt in a War movie that's getting early positive reviews (80% Tomatometer). Flop Factor: Seems like another War movie. Hit Factor: Low-Budget Nicholas Sparks novel gets females in theaters regardless of reviews. Flop Factor: There's like one of these every year. Hit Factor: An animated flick for the kids. Flop Factor: Feels a lot like The Boxtrolls, and that didn't do too amazing. David Fincher's Gone Girl had some staying power this weekend as it remained at the number one spot at the box office ($26.8 million). Dracula Untold ($23.5 million) and Alexander and the Terrible, Horrible, No Good, Very Bad Day ($19.1 million) had decent openings. 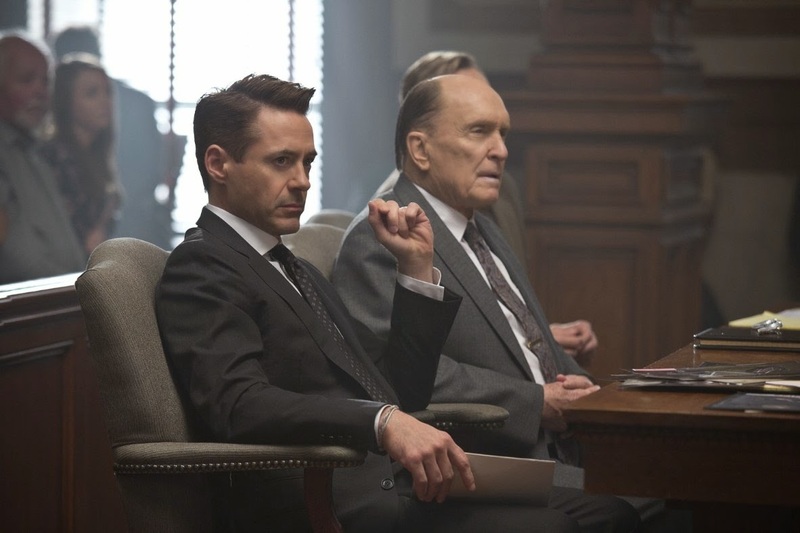 Robert Downey Jr.'s The Judge came in a little under expectations ($13.3 million), but it's not a terrible start. Dracula Untold has also already made a blood-sucking $62.6 million overseas which will prove to be a much needed hit for Universal and their upcoming monster reboot. 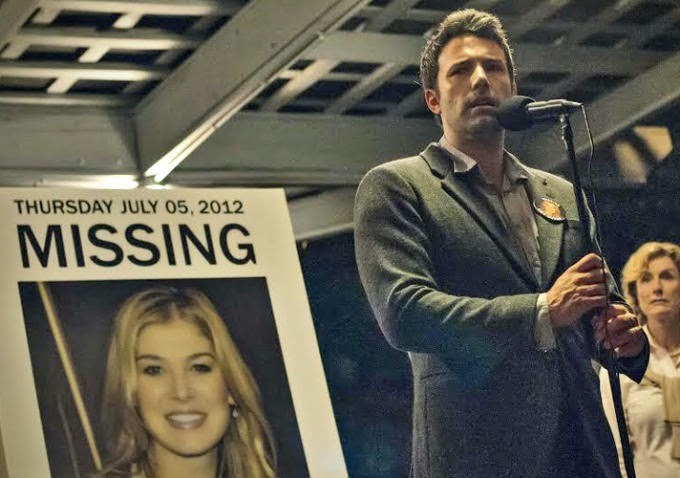 Can Gone Girl remain on top? A few new movies hit theaters this October weekend. Flop Factor: Universal's supposed monster reboot… starts with this unfortunate movie. Hit Factor: Something light that the families can watch. Flop Factor: The title isn't long enough. It's a tight race at the box office this weekend as the critically praised Gone Girl ($38 million) comes out barely ahead of horror flick Annabelle ($37.2 million). In fact, it might be almost too close to call yet, as things could change when the final tally comes in tomorrow. Despite that fact, both of these movies debuted to much higher numbers than expected… which is a good thing for the box office, or the fact that there is really nothing else to watch. 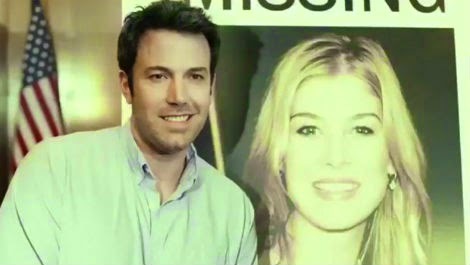 It's also surprising to note that Gone Girl's $38 million debut marks director David Fincher's biggest opening, despite all the movies he has made. Since Annabelle is a prequel to The Conjuring expect more sequels(?) or prequels to The Conjuring. Here come the Award season movies. Flop Factor: Trailer doesn't seem as interesting as his other films (though it'll still be good). Hit Factor: Scary movie in time for Halloween. Flop Factor: Trailers made me laugh.